It’s been a rough few weeks for Samsung, and it’s seemingly getting rougher. It started with the launch of the long awaited (and highly lauded) Galaxy Note 7. Sales were blowing up, but unfortunately so too were the phones, and the Korean phone manufacturer was forced to quickly issue a recall. There have been rumblings that national civil aviation authorities – like the Federal Aviation Authority – and airlines would start prohibiting them on flights. Earlier today, the FAA issued a statement that it “strongly advises passengers not to turn on or charge these devices on-board aircraft and not to stow them in any checked baggage,” but stopped short of a total ban. 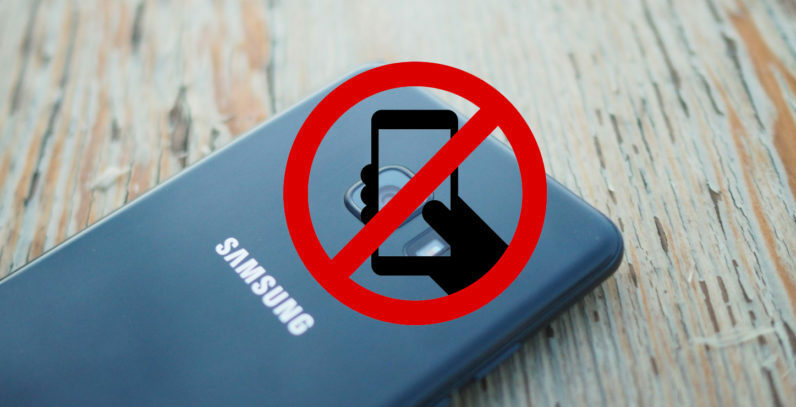 India’s Directorate General of Civil Aviation (DGCA) has bit that particular bullet, and has now banned the handsets from checked luggage, according to the Times of India. Passengers can only carry their Galaxy Note 7 devices in their check-in bags, and they must be switched off during flight. “The order comes into immediate effect. This has been issued keeping air safety in mind,” DGCA chief B S Bhullar said. Airlines in the country are now being informed of this ban. How they will enforce it, however, is not immediately clear. It’s easy to dismiss this as paranoid overkill, but given the recent stories of the Galaxy Note 7 of sending jeeps and hotel rooms aflame, you can hardly blame them for erring on the side of caution.